Dawn rises and a stunning vista of sun-kissed lagoons and palm-fringed beaches slowly unfolds. 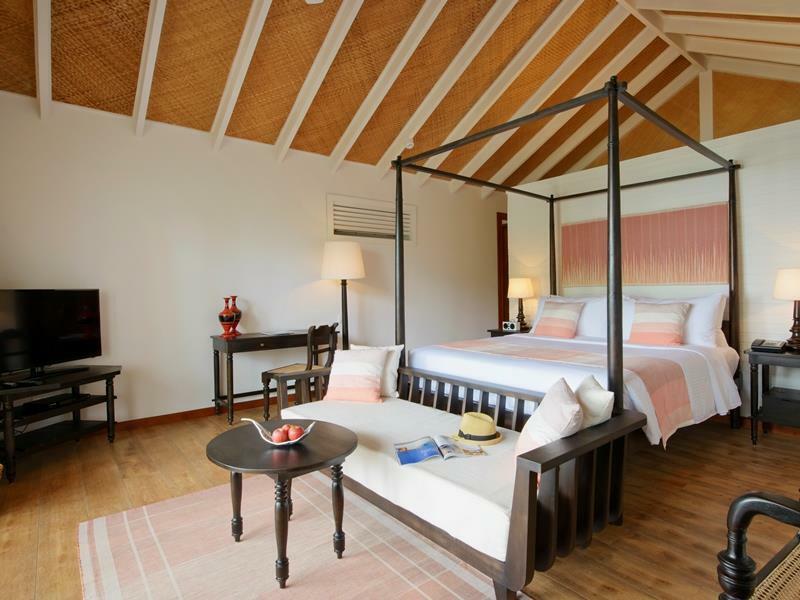 Loama Resort Maldives at Maamigili, welcomes you to where tranquility and flawless beauty is imbued with the legacy of Maldivian heritage. 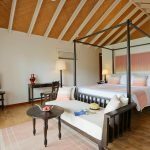 Located in the midst of the Maldives oldest historical Raa Atoll, the Resort weaves cultural heritage, natural wonders and an idyllic island lifestyle into a rich tapestry of unforgettable experiences. 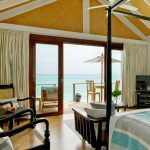 Spread over 100 hectares of pristine coral reef, this teardrop paradise island features 105 elegantly appointed beachfront and over-water guest rooms including 5 luxurious suites, each one commanding spectacular views of the shimmering Indian Ocean. 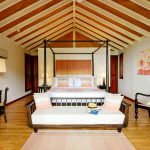 The 6 gastronomic venues at Loama Resort Maldives at Maamigili offer a smorgasbord of flavours from around the world, whilst Loama Spa provides the ultimate pampering experience for a complete rejuvenation of the senses. The Resort’s Business Centre & Library coupled with the state-of-the-art Fitness Centre; Pilates, meditation and yoga classes; and 30-metre beachfront infinity pool will revitalize mind and body in a paradise setting. 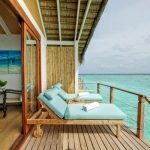 Whether it is relaxation, adventure or cultural appreciation, Loama Resort Maldives at Maamigili has a plethora of leisure activities to suit the young and young at heart. Wander along a picturesque walking trail to ancient bath and wells at the heart of the Resort. Experience Maldivian culture through cooking classes, local village trips by traditional Dhoni and at Loama Museum and Loama Art Gallery. 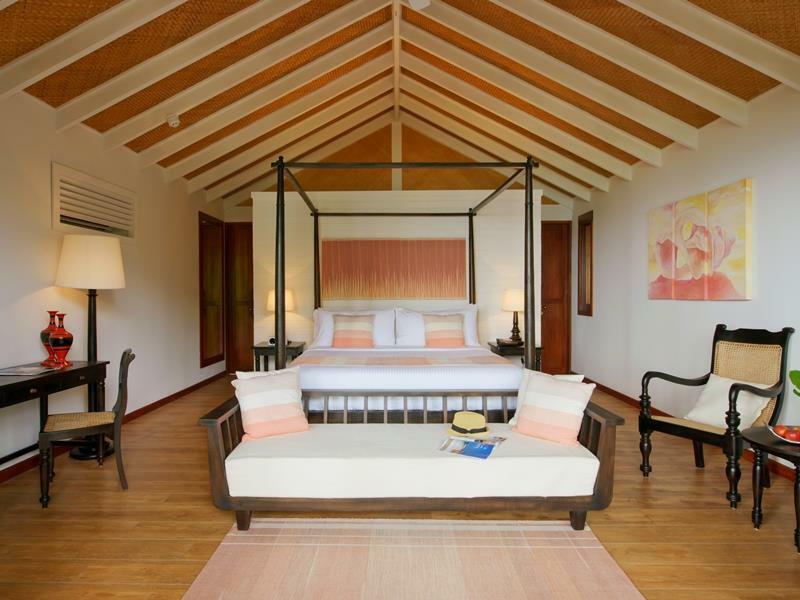 Sample fresh harvest from the organic vegetable farm and go sunset fishing the Maldivian way. 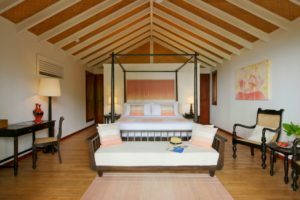 From scuba diving amongst rare coral and manta rays, fun at the Dhondhooni Kids Club to bespoke dining on a private island, every exquisite moment is touched with the impeccable hospitality and authenticity that is unique to the Resort. 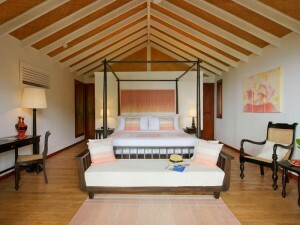 Loama Resort boasts 38 beach villas, each spanning 67 sqm, nestled amidst lush natural foliage. 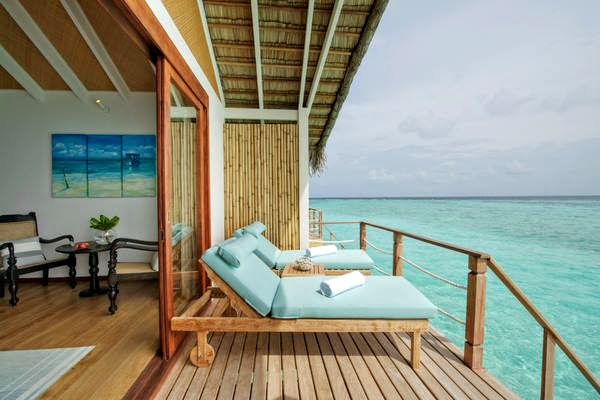 Breathe in the crisp, refreshing air as you relax on the outdoor deck, or feel the caress of the ocean breeze against your skin as you lie back in the private outdoor bathtub; peace and quiet, Maldivian style. Twin connecting villas located directly on the powder-white beachfront, Loama Resort’s five spacious family villas, at 134 sqm each, are perfect for a getaway with your loved ones. 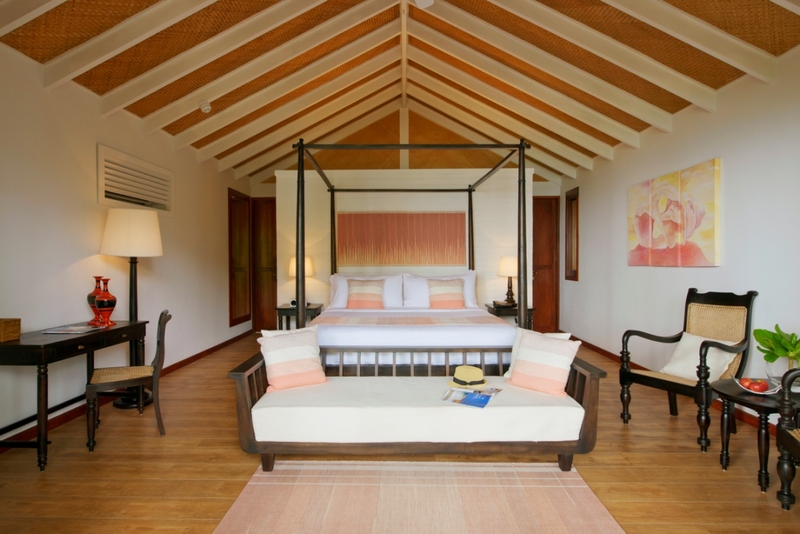 Watch the sun rise over a breathtaking panorama of glittering lagoons and abundant greenery right outside your window, then step from the comforts of your luxuriously appointed room onto virgin sands and wile away the hours basking in the sun on your personal lounger. 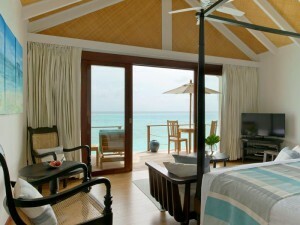 You could think of the Resort’s two Beach Suites as your Maldivian-inspired home away from home. Spacious 155 sqm sanctuaries with separate dining and living areas, the Beach Suites epitomise island living at its best, bedecked with an elegant selection of traditional Maldivian artistry such as kuna weavings and handcrafted runba pottery, and accentuated by sophisticated contemporary nuances such as open air showers and spa-like amenities. Each Beach Suite also comes with a private pool where you can soak away your worries as you watch the world go slowly by. Staying at one of Loama Resort’s 52 Ocean Villas is like entering a living rainbow. When sunlight illuminates the crystal clear waters of the lagoon on which these 72 sqm villas are built, a dazzling, multi-coloured marine world springs to life, at once humbling and captivating. 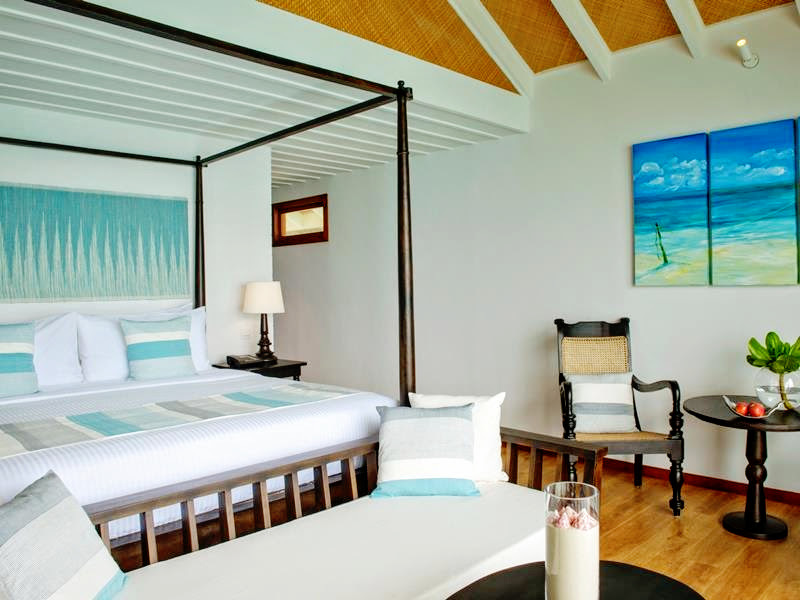 Step out onto the sun-drenched patio and slip into the vision of turquoise that awaits you, or let the sound of soft waves buoy you to heavenly rest within your ocean-scented sanctuary. The Resort’s two Ocean Suites are like jewels floating on the Indian Ocean, glittering 149 sqm vantage points for you to experience the best of the Maldives. Twirl your feet in the majestic waters below while you sip fresh coconut from the patio perch. Bear witness to the glory of nature, as the ever-changing skies soothe your eyes with a kaleidoscope of living colours. And have peace of mind knowing every modern comfort is just the press of a button away. 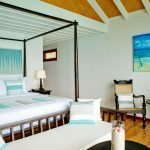 Like your very own kingdom in the infinite ocean, Loama Resort’s 234 sqm Royal Ocean Suite is a palatial sanctuary accessible only by a select few. Indulge your every whim and fancy; your private butler and personal chef are there to make your wishes a reality. Sip cocktails in a private pool over your very own lagoon. Entertain your friends and loved ones with a sumptuous feast prepared to your exact specifications. Take to the seas in a private dhoni, or just immerse yourself in the extravagance of being truly, utterly, at one with the world. Whatever you do, is completely up to you.